MMaking a career decision is something many professionals are scared of. A lot of professionals used to struggle with too many interests and options. Obviously, selecting the exact career can be tricky, but having a clear career direction will assist you a great deal with obtaining a job in your aspirations. Hard work, planning, and serious self-reflection can place you on a passage towards a productive and satisfying career. Music is a career that many people are interested in pursuing. It is particularly going to be tough for those people who are looking for a career in the music field. Music is a vast field and offers a lot of job options to the professionals from music composition, playing music instruments, to singing. Hence, there are a lot of jobs waiting for the people who are really passionate in the field of music. However, there is always a need to opt for a music career that suits you the most or else, you will end up dissatisfied and unhappy with your professional career. Without a doubt, majoring in music can open many doors to your desired jobs, relations and endless options for creativity. Majoring in music will definitely help you to shape your music career based on your interests, passions, and skills. If you want to have a flourishing career in music, you have to be a very good performer with a wide range of skills. Studying music in college will not be a direct way to having a perfect career or being a good performer. But it will indeed help you to make good choices based on your skills, what you learn, love, and discover. The skills you achieve from being a music major will also present you with the background required to enter a music career. Obviously, performing and teaching are the two most general careers in music. So, you will have to find what you require or what you are going to pursue. Are you trying to focus on performance? Or do you want to teach? Focus on clarifying what you think you want to do. Choosing a direction will be a good starting place for a successful career in music. Professionals can indeed prevent themselves from making a mistake when opting for a music career by choosing a direction. Do you need to start your career in music? Your success has everything to do with your readiness and fervor to set goals. 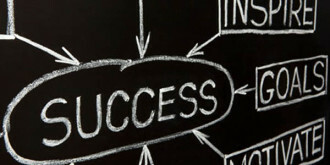 Goal setting will assist you in moving forward with no trouble and overcoming challenges effectively. Setting goals means that you basically have a career development plan. Most victorious musicians and music professionals have worked their way up through setting goals, achieving their goals over time, building their skills, knowledge, and connections. Don’t try to pursue a career in music for money. A lot of people used to consider money ahead of job satisfaction. It is a blunder approach and you should focus on job satisfaction primarily. It is certain that money is important but a discontented job will lead you to shifting to another job every now and then. Keep in mind that career with greater money but less freedom and happiness can make you frustrated. So it is always good to have a satisfying job rather than looking at ways to make money. So, you should figure out whether a career in music can satisfy you creatively prior to pursuing it. Before you opt for a career in music, you should prepare for setbacks. It is obvious that things may not turn out the way you want them to be, in particular during the beginning phases. So, you have to make your mind up to face any challenges. Keep in mind that a tired mind and body cannot learn effectively. Don’t be scared to take chances and don’t be anxious of getting shot down for the reason that if you don’t ask, you don’t get.